Greif, a global leader in industrial packaging products and services, announced its most recent investment in an intermediate bulk container (IBC) line at the San Roque facility in the Cadiz region of Spain towards the end of 2018. Greif’s existing plant has been producing large steel drums for more than 30 years. The upgrade now offers customers the world’s latest IBC technologies. Greif’s new investment includes a fully automated line, ensuring timely and uninterrupted delivery of IBCs. An additional investment has also been made in a new state of the art and fully automated warehouse where filled IBCs are stored. The upgraded facility is now equipped to produce the full Greif GCUBE portfolio, currently available across 12 sites around the globe. 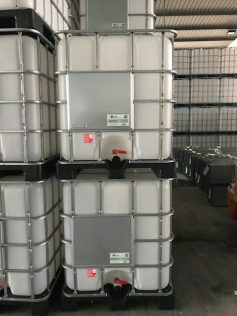 The San Roque facility will be well placed to deliver high-quality products to the olive oil industry, one of the most important economies in the region with production of the GCUBE IBCs having begun and expected to reach up to 150,000 units per year. Greif entered the IBC market with the acquisition of Fustiplast in 2010 and in the last eight years has become the fastest growing and highest investing company on IBC production.